A Totally Independent Air Freight & Courier Company Servicing the Needs of Tasmania. Established in 1992, we operate our own aircraft from Moorabbin to Wynyard. 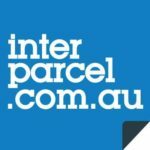 We provide Door to door courier services for pick up and delivery from Melbourne to Tasmania and return. Call our customer service department for a competitive quote. Booking online from our website is available.